A lightning strike on a ranch in Oklahoma was not only a tragedy for the owners, but it also turned into a reminder of the lack of knowledge most people have about livestock production. Jason Donathan, a cattle rancher from Henryetta, OK shared a photo with KOTV Channel 6 in Tulsa showing approximately 12 dead cattle under a tree. 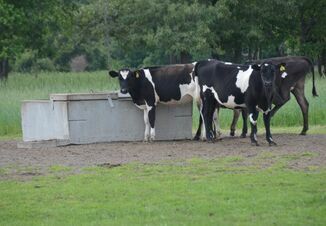 The group of primarily cows was killed by a lightning strike. KOTV meteorologist Lacey Swope shared the picture on her Facebook page on June 24. Following the post there were a number of comments saying the rancher should have put the cattle inside a barn to protect them from the weather. “Oh my lord that is terrible where farmer that take care of this cow should have put em in barn,” writes Leoma Elizabeth Walker. “Why don’t ranchers have something for the cattles to be safe under. Instead of leaving them out in the open,” says Sandra Parish. “The farmers should have put the cows in the barn if you knew it was going to be lightening but what they did was cruel I feel bad for the cows May they Rest In Peace,” adds Morgan Tippett. 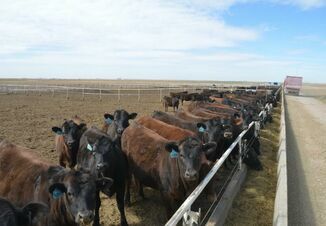 It didn’t take long for Facebook users who know a thing or two about raising cattle to chime in the conversation. “That has to be the most unrealistic comment ever,” states Bambi Newton. “Obviously, you know absolutely nothing about raising cattle. Eat more chicken,” relates Karen Marsh. “It’s a waste of time...... these are the same people that would be shocked to learn that eggs come from chickens and not from the Walmart factory,” points out Tom Fisher. Some Facebook users tried to be helpful during the rancher’s time of need sharing information about how they can get help. “Check with USDA Farm Services, they have an indemnity pay for losses like this. If you are in Checotah, your Farm Service office is in McAlester or Muskogee. So sorry for your loss, devastating,” says Betty Kloeckler. 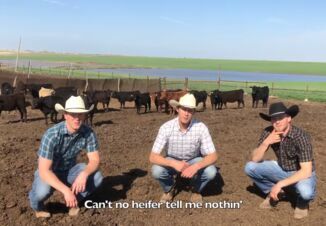 If this social media experience tells farmers and ranchers one thing it is that consumers still don’t have a great grasp of how livestock are raised. It makes it all that more important to keep having conversations with the public of what it takes to raise healthy animals that could one day end up on someone else’s plate after it leaves the farm gate.